If it’s been a while since your last trip to New York, there’s a chance you might actually assume that the tech scene has slowed. Over the last few years the hype has somewhat abated. In fact, it was only a few years ago that the media was constantly comparing New York’s startup ecosystem with that of San Francisco’s. During a recent trip I spoke to venture capitalists and founders, and they explained that the city’s tech scene has matured, having begun a new chapter of more stable growth. In fact, New York currently boasts 6,300 startups, with tech jobs growing at a rate of 30 percent over the last decade. In many ways the startup scene in NYC has begun to focus on the industries that the city as a whole is best at: finance, real estate, fashion and enterprise. There are, according to the state comptroller, 7,500 New York-based tech companies, supported by $38.4 billion of investment over the last five years and underpinned by vast networks of incubators, accelerators, meet-ups and universities. A couple days walking around Manhattan, and a couple evenings attending any of the city’s countless events, and you’re liable to reach the conclusion that, for an entrepreneur, NYC is still the place to be. But the seemingly limitless opportunity and energy of the city, the places and people you’ll feel you have to know, can be ironically daunting and deterring. For that reason, my colleague Peter Andringa and I put together a guide for entrepreneurs looking to explore and potentially break into NYC’s tech universe. Across its 5 boroughs, thousands of tech companies vie for their place, from industry titans to early-stage startups. While behemoths such as Amazon, Google, and Microsoft have staked out territory in the Financial District, Chelsea Market, and 42nd & 5th Avenue (respectively), corporations like Barclays, SAP and Verizon are sponsoring innovation programs and coworking spaces. As for startup success stories, they are abound. Grubhub has outlasted other food delivery platforms with 9.18 million active diners, the co-living startup Common is building a real estate empire, and DADA.nyc has developed a leading platform for artist and collectors. Management training startup General Assembly was acquired for $413 million, the meal kit startup Plated bought for $200 million, and Venmo was acquired for $26.2 million by Paypal. Source3 was also purchased last year by Facebook, while Kickstarter has become the go-to crowdfunding platform, and Paperspace continues to redefine the virtual desktop. Other noteworthy success stories grabbing headlines include Etsy, Bonobos, SeatGeek, Warby Parker, and Clinicube. Instead of suffocating beneath the heft of Fortune 500 companies, these startups subsist and thrive off their success, partnering with big businesses, hiring exiting talent, and developing products that enhance what their much larger competitors offer. Within this symbiotic system, startups also grow up, go public, and enrich employees that then reinvest their earnings and expertise into new ventures. This has fed an ever-expanding, mature tech system, and one which is specialized geographically. For how the ecosystem is broken down geographically, the long-time heart of the scene, the few blocks around 23rd Street commonly referred to as Silicon Alley, is home to more FinTech and AdTech startups. Brooklyn has attracted cutting-edge UrbanTech, PlantTech, and CreativeTech companies. Queens is known for FoodTech and Biotech companies; Harlem and the Bronx host numerous social good enterprises; and Chelsea is known for its fashion tech companies. If you’re interested in attending events in the city, take a look at Eventbrite, Meetup, Gary’s Guide, founded by Gary Sharma, and Startup Digest. Built in NYC is also an institution in the city, and Digital.NYC, which was earlier launched by Carleen Pan as a part of Gust, is a popular platform. The Next Web last year also hosted its conference in NYC for tech, communications, and media businesses. For the millions of designers and entrepreneurs looking to carve out their niche it can be difficult to afford New York’s office space when starting out. By necessity, coworking spaces have become a built-in part of the NYC tech culture, but it is also a secret to its success. With around 80 coworking spaces of all sizes and costs, the opportunities for synergy and networking, not to mention state-of-the-art facilities and amenities, are ample. Visiting many spaces across the city, among the noteworthy standouts was Rise New York. Part of Barclay’s open innovation program, Rise draws hordes of aspiring FinTech entrepreneurs to Flatiron with its auspicious facilities for experimenting and collaborating. Over in Soho, I had the chance to visit The Farm Soho which for its part, offers a sense of belonging in a sometimes lonely city. Galvanize, a popular space that regularly hosts events, is located nearby. Spark Labs’ two New York locations – one in Union Square and the other Bryant Park – draw strength and energy from Spark Labs’ 30-large network of innovative tech spaces across the world. And WeWork – now an institution among startup cultures globally – as well as the impressive Verizon-sponsored 5G-enabled Open Innovation lab known as Alley, both merit a visit. WeWork offers spaces in Midtown, the Meatpacking District, Bryant Park, and Fulton Center, while Alley is turning heads for inviting startups and academics to collaborate using Verizon’s pre-commercial 5G technology. For a list of all spaces in the city, check out The Founder Institute’s New York Canvas. Whether you can someday meet them, or maybe just follow them on Twitter, connectors serve as the backbone to startup ecosystems. Among them is Alex Fair, who for quite some time has been making waves in the HealthTech field and most recently founded MedStartr. Another, Kelcey Gosserand, used to help run the Galvanize coworking space, is the former Associate Director of Startup Institute’s New York City Branch, and has since founded the blockchain community Trellis. Fellow ex-member of the Startup Institute’s family, John Lynn, co-founded the Studio Project and co-organizes Accelerator Awesome. Lucas Seyhun oversees The Farm Soho, a popular spot for freelancers and startups. Matt Harrigan and Nelson Schubart, Company’s CEO and Director of Venture Operations, respectively, have helped build one of the first vertical, multi-tenant tech campuses at scale in New York. Company.co was earlier known as Grand Central Tech. 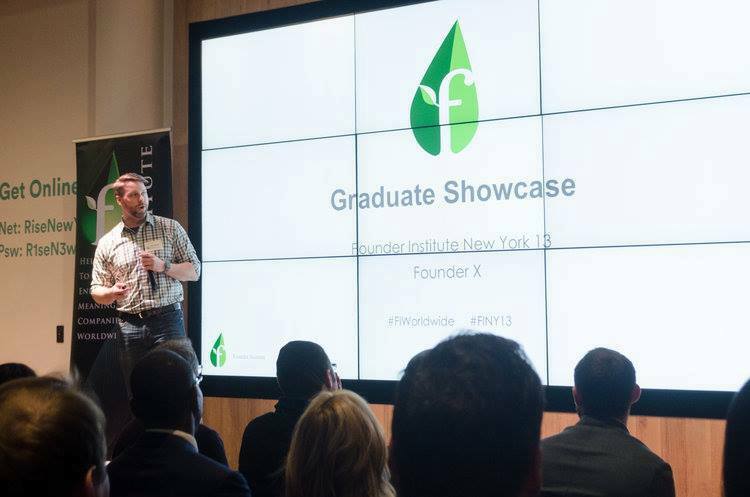 The Founder Institute accelerator is led in New York by Managing Director Kevin Siskar. Meanwhile, the founder of The Worldwide Supply Chain Federation Brian Laung Aoaeh and his meetup are working to build the supply chain networks of the future. Eddie Cullen of Bronx.tech, Laurie DeJong of LDJ Productions and Brian Frumberg of VentureOut are three other well known founders. Matt Hooper, previously the head of the FinTech incubator Rise New York, now hosts the TV show Live! From Tomorrow, a tech-centered variety show. The show was consistently recommended to me across the city. Rise’s current accelerator lead is Ben Shaw. Also in the FinTech field, Jon Zanoff founded Empire Startups, which has hosted the largest FinTech startups, meetups, and conferences. And serving as Managing Directors of two widely known accelerators, Jenny Fielding has helped TechStars establish itself as one of the most successful seed accelerators in the United States, while Andrew Ackerman has contributed extensively to the Dreamit’s world-renowned UrbanTech Accelerator. For global accelerators, NUMA, led by Program Director Frances Simowitz, hosts a wine o’clock every other Friday that’s open to entrepreneurs. In truth, NYC’s multitudes of tech companies are really self-sustaining, and are in the fortunate situation of not always needing support from the city government. NYCx notably offers grants to entrepreneurs tackling local problems in low-resource communities, while ex-Mayor Michael Bloomberg donated $200 million to help construct Cornell Tech campus, which has a Startup Studio led by BoxGroup Managing Partner David Tisch. On the state level, the Empire State Development organization provides economic and technical assistance to companies endeavoring to develop and commercialize new technologies, investing $100 million through its State Innovation Venture Capital Fund and $47 million through the Innovate NY Fund. New York City Mayor de Blasio has a 100,000 jobs initiative that is defining public investment dollars. EDC, the Economic Development Corporation in New York, is a non-profit that historically has supported real estate projects, although it is increasing spending time in tech. In many cases it serves as the welcome point for international organizations, such as Galvanize earlier, that was looking to expand into NYC. EDC’s Mark Thomas is an important person in the startup community, while the organization’s CEO James Patchett reports directly to the Mayor. Even without government assistance, the reality is that investment opportunities shouldn’t top the list of an enterprising business’ worries – in 2016 alone, 421 NYC-based tech companies received $9.5 billion in funding. In addition to 30 startup accelerators and incubators offering niche market funding, 2017 venture capital investment quadrupled the $2.6 billion raised in 2012. VC seed and series A investors like Union Square Ventures, Lerer Hippeau Ventures, Greycroft Partners, Social Starts, Thrive Capital, First Round Capital, Bain Capital, Work-Bench, Metaprop, Great Oaks Venture Capital, and Techstars have NYC’s venture capital totals trailing only those of the Bay Area. Angels and Angel groups, meanwhile, include Fred Wilson, David Rose, New York Angels, 37 Angels, Empire Angels, JumpStart Angel Network, and many more. Fred Wilson’s blog AVC.com is a must-read for founders, and David Rose, who founded New York Angels, is known to provide great advice on Quora. In other words, investment opportunities – like the plethora of coworking spaces, the startup scene’s dynamic connectors, and the countless big and small businesses forming the city’s symbiotic system – constitute yet another enormous advantage for those looking to launch in New York. In a decade, New York’s tech scene has gone from burgeoning to booming. Continually vitalized by its core tech verticals – fintech, adtech and media – big promising industries including healthcare, real estate, nonprofits, and fashion have taken shape. The speed and scale of everything in NYC, of course, will be overwhelming, and even the longest guide’s lists will only scratch the surface. But the New York tech scene has grown up, startups are finding multi-billion dollar exits, and the potential available for those entrepreneurs ready to brave NYC’s enormity is as great as ever.